Last week my friend sent me this message about a woman being attacked during the morning in Finsbury Park. In this incident it probably wasn’t dark but it isn’t the first time I’ve heard about a woman being attacked in the parks I run in. 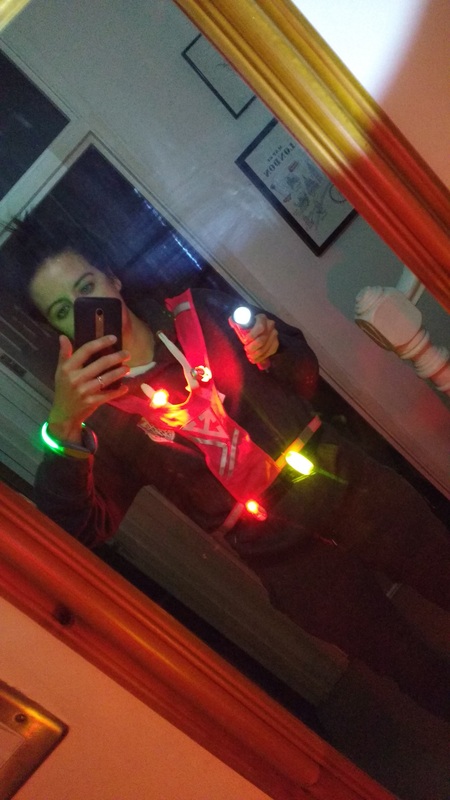 The same week I was sent a big box of kit by Nathan Sports to, “Keep me safe, warm and able to pursue my running adventures through the coming season.” The were loads of lights in the kit, a water bottle, a reflective vest, and couple of pairs of feetures socks. Like a kid in a candy shop, I couldn’t help myself and put everything on once and had a mini disco in my hallway. I felt like a festive Christmas Tree, but I didn’t feel much safer. 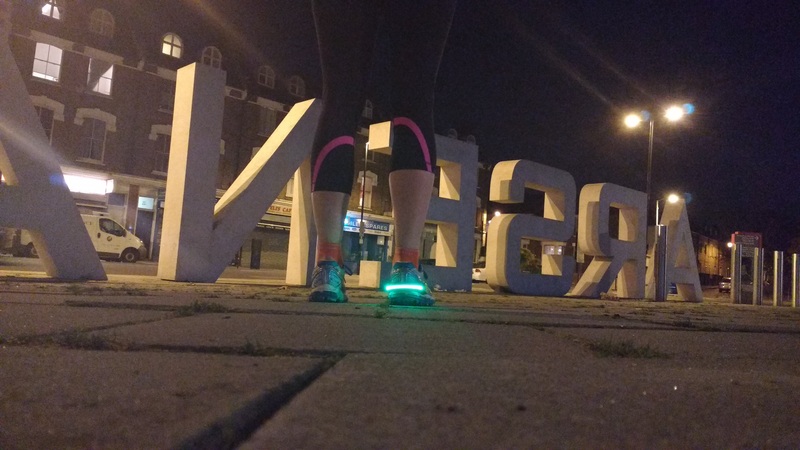 Being bright isn’t going to make running in Finsbury Park, along the canals, or on my favourite trails at night any safer. 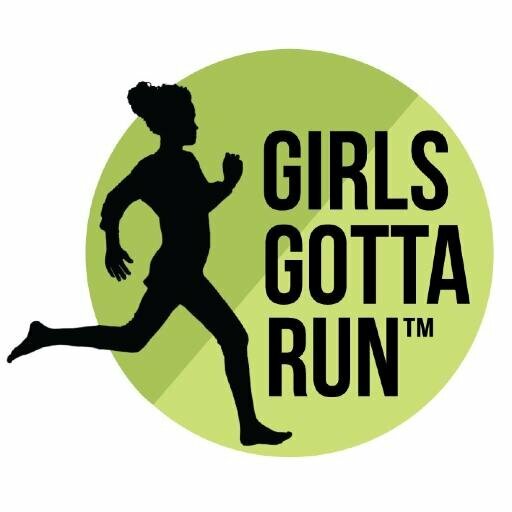 This obviously applies to men & women but I think we can agree women running alone are seen as more of a target for violence. Nathan Sports are obviously focusing on the “be seen and don’t get hit by car” kind of safety, so before I review the lights for that purpose I just wanted to use this as an opportunity to remind everyone that for women who run safety is so much more than lights. How did the lights work? 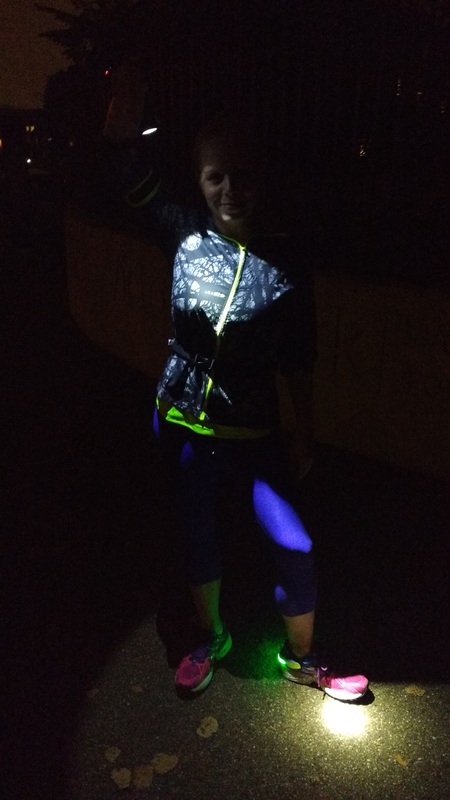 Last night I put the heel spur light on and headed out on my regular 5k route. Everyone I ran past stared at my foot. I felt part bionic and part like a kid with light up shoes. I didn’t notice it much while running and it didn’t light up my route much, but the real benefit showed when I took this video below. I was wearing a fluro orange tshirt and leggings with reflective details. Running on the sidewalk on what I thought was a well lit street in Highbury. You can’t see me at all and only the light on my shoes shows up. I put the water bottle on my bike for commutes and it’s perfect for extra reflectiveness in traffic. I always forget to take it off when I pop in the stores though so please don’t steal it. I like the idea of the reflective vest, but I don’t like wearing it. It reminds me of the borat swimsuit and just seems like another thing to faff around with before I get out the door. I met up with my friend Heather for a run on the dark canal after work. 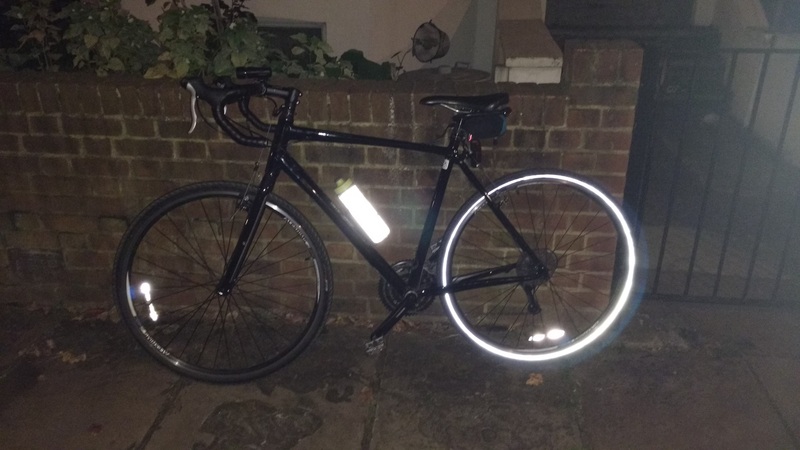 We took all the lights and were complemented twice by passing cyclists (“Oh so bright” and “Like disco runners”) but also cat called 3 times, in 2 different languages, so you win some you lose some. Heather ran with the hand torch which was hilarious as she’d set off the alarm every little bit by accident. She normally doesn’t like running with things in her hand but didn’t mind running with this torch. 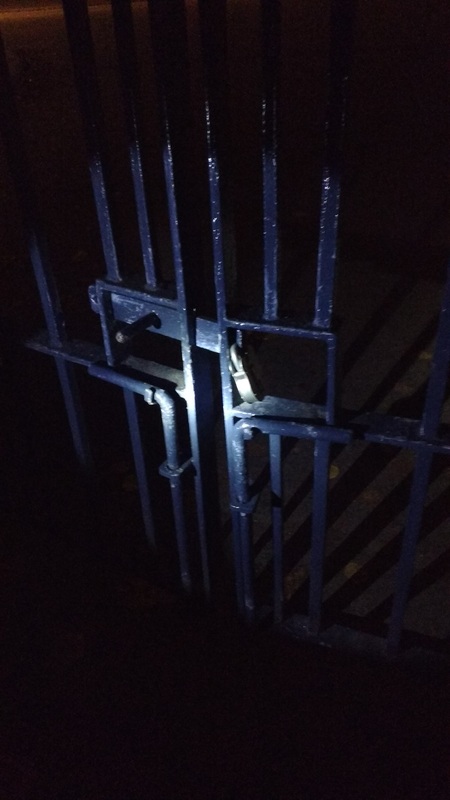 It came in handy when we tried to run in Victoria Park and came up to this dark locked gate. Time to turn around. If you’re convinced that lights are the way to safety, go for it. The Nathan Sports ones are good quality and I’m happy to recommend them. 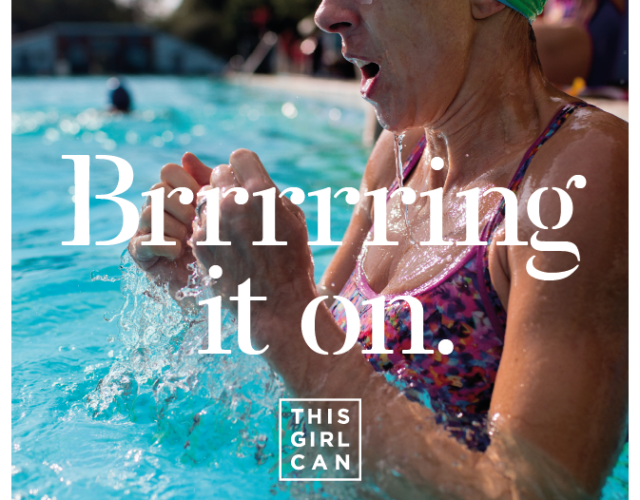 But, you don’t have to buy new kit just to run in the winter. Go to the track. 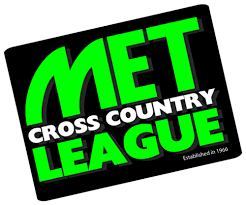 They are well lit with other friendly runners around and a chance to push yourself a bit in the speed department. 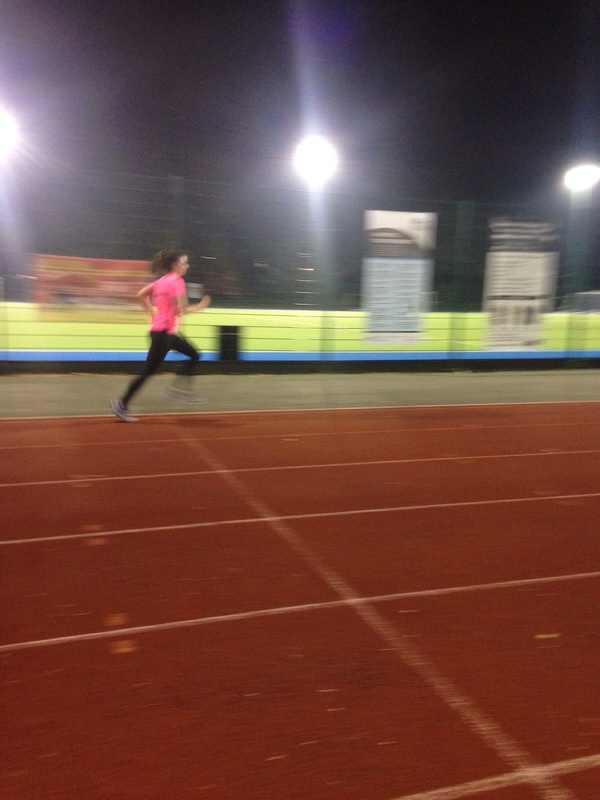 I’m running cross country & some shorter races this winter so any time on the track is good training. If you’ve never run track before check out this Beginner’s Guide to Running the Track. Nathan Sports sent me (and loads of other bloggers it seems) a box of lights and kit to run in the dark and asked I write about my experiences using the kit on my blog. This entry was posted in london, product review, running on October 29, 2015 by lauraestewart. Great blog post – love the videos! The handheld torch has a siren which is good for safety, although I would hope you never have to use it.